We have been working hard for the past six months, listening to our users feedback, and learning how the unique technologies in Encompass can help save time and money. After several months of development, we are pleased to announce our new KYC software – Encompass Verify for legal and accountancy, and Encompass Confirm for banking and finance. Along with our current information gathering, multi-search and visualisation toolset which users love, these new platforms introduce four new toolsets which have been designed and developed to assist users with the key processes of KYC within banking, finance, legal and accountancy. Encompass Confirm and Encompass Verify can now automate users policy search. Encompass will upload the search procedures unique to each user’s KYC policy, allowing full customer profiles to be created at the touch of a button. From simple 3 step searches, to complex multi-layered profiles, this automation feature allows users to carry out KYC processes quickly, efficiently and without human error. Our new Risk and Identity profile allows users to categorise risk against each entity uncovered during the information gathering stage. Following your own unique risk assessment processes, easily set risk against ownership & control, country, industry, product, screening, identity or adverse news. Using our automated risk overview feature, quickly see the overall risk per profile. An automated audit trail assures users all of their searches and activity around each customer profile is recorded. This new audit trail feature allows users to prove compliance with company KYC policies. 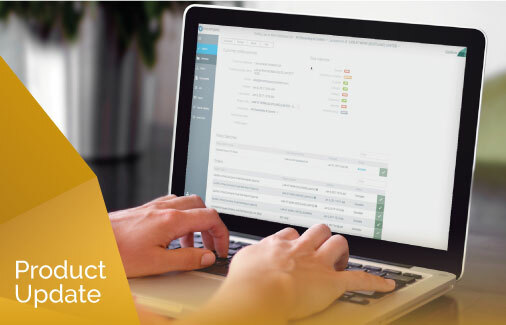 Easily download into a .CSV file and share with auditors or superiors to show every step taken during onboarding, and further remediation processes. During review and remediation, users can now simply and quickly refresh all information included in the customer profile. Simply open the profile and click the refresh button and Encompass will automatically re-do all searches within the profile, removing the laborious and manual task of review and remediation. We are now able to provider customers with access to Experian’s headline credit report. Experian joins Bureau van Dijk, Creditsafe, Dun & Bradstreet, and Equifax within Encompass, providing customers with access to five out of the five leading UK credit reference agencies (CRA) data sets. The Experian credit report, just like the other CRA credit reports, contain vital shareholder and director information. This is essential for understanding complex corporate structures and identifying beneficial ownership and control. Encompass can offer this Credit Report to both existing Experian customers via the Embedded Credentials model, and new customers via the Reseller model. With some of the data Encompass receives from our information providers, it is not possible to determine if a shareholder is a company or a person, and in these instances Encompass displays a generic shareholder certificate icon in the chart; often this is because there is neither a company number or date of birth present. When users are able to make this decision based on their wider findings we have introduced a really handy new feature: CONVERT. 4 – And ta da! 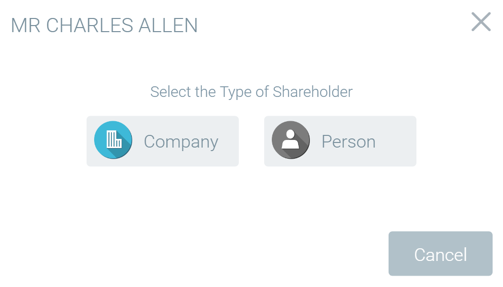 You have successfully converted the shareholder icon to more accurately reflect a company’s ownership structure. We are hosting a short webinar on Friday 20 January at 11am to take our users through the new features of Encompass. 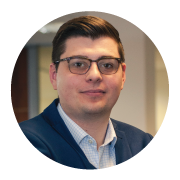 Our Customer Success Manager, Scott Goodsir-Smyth, will be on-hand to answer any queries and learn what you think of the new platform.